KATHMANDU, Jan 12: The government on Wednesday sacked the CEO of National Reconstruction Authority (NRA) Sushil Gyewali from the post and appointed former vice-chairman of the National Planning Commission Govinda Raj Pokharel as replacement. A cabinet meeting held at Singha Durbar on Wednesday could not be satisfied with the second clarification submitted by Gyewali to the government on Sunday on why he should not be sacked from the post and decided to remove him from his office, informed Minister for Information and Communications Surendra Kumar Karki, who is also the government's spokesperson. Though Gyewali was appointed for five years, he has been sacked by the government just within a year of his appointment in line with the legal provision. He was appointed by the KP Oli-led government on December 25, 2015. Karki further informed that the cabinet has decided to appoint Govinda Raj Pokharel as the CEO of NRA. 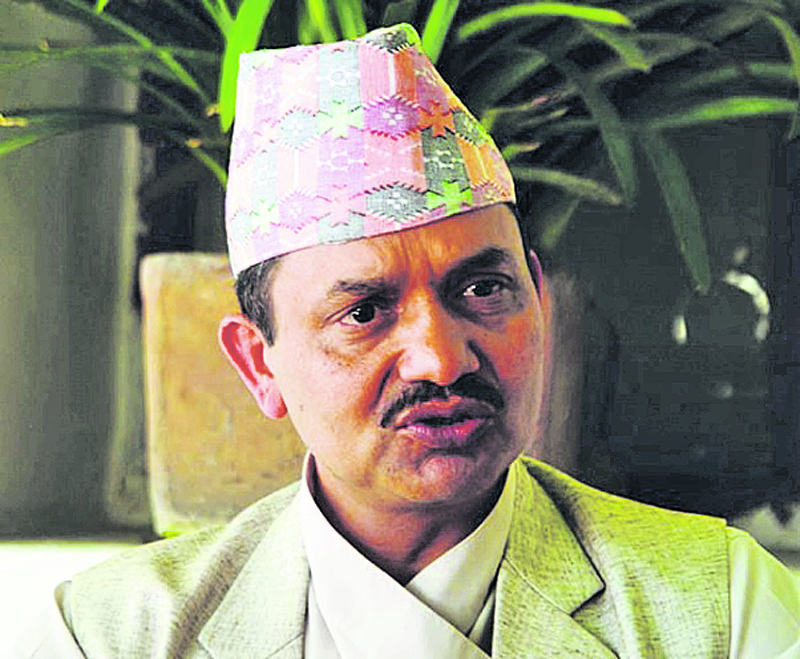 Pokharel was appointed as CEO of the earlier National Reconstruction Authority established through an ordinance in 2015. But as the government could not replace the NRA ordinance with an act, the authority had dissolved. 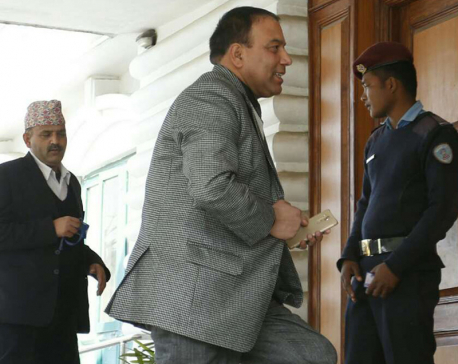 As per the legal provision, the government had given Gyewali the chance to defend himself twice before reaching the decision to remove him from the post. 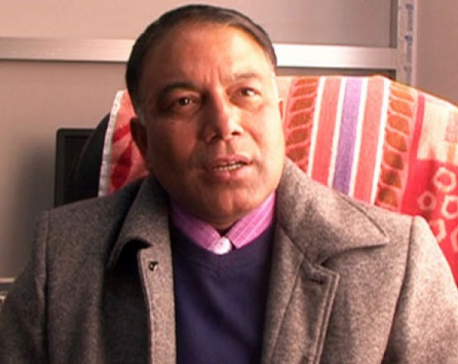 On December 29, arguing the authority under his leadership failed to expedite the reconstruction and rehabilitation tasks as per the expectations of the earthquake victims even after a year of his appointment, the government had decided to seek clarification from Gyewali within seven days regarding the delay. Based on the decision, Gyewali had submitted a 12-page clarification to the government last Wednesday blaming the government for the delay. However, the cabinet meeting last Thursday was not convinced with his claim that the progress on reconstruction and rehabilitation was satisfactory and again decided to ask him to furnish clarification within 24 hours on why he should not be sacked from the post. The move to seek clarification from him by the government was just a legal formality. But in his second clarification submitted to the government on Sunday, Gyewali reiterated his previous stance that the delay in the post-earthquake reconstruction and rehabilitation was the result of government's inefficiency. One of the major task the NRA was able to accomplish during Gyewali's one-year tenure was to sign housing grants agreements with 547,229 households in the earthquake-hit districts and distribute the first tranche of Rs 50,000 to 473,555 households of the total victims signing the grant agreement. The government, however, has yet to decide the fate of the members of the NRA appointed along with Gyewali last year, according to Minister Karki. Gyewali has said that he will move the court against his sacking. Issuing a press statement following the cabinet decision, Gyewali said that he was appointed for five years as per Article 11 of the Act to Provide for Reconstruction of the Earthquake Affected Structures 2072 and that he would seek legal remedy against the government's decision to sack him from the post within a year of his appointment. “He will challenge the government decision in the Supreme Court,” said a source close to Gyewali. Gyewali has also stated that the government's decision to remove him will seriously hamper the overall reconstruction and rehabilitation activities which were gathering pace. Meanwhile, newly appointed CEO Govinda Raj Pokharel assumed the office on Wednesday following the cabinet decision. While assuming the office, he said that he would carry out the reconstruction activities in line with the Post Disaster Needs Assessment prepared by him while he was the vice-chairman of the National Planning Commission. He is likely to come up with a detailed action plan on Sunday.